Dr. Chirravuri Dakshinamurti (b.d. 17July 1914) the first project Director of the Water Technology centre, Indian Agricultural Research Institute, concurrently held the positions of project Director, Nuclear Research Laboratory and head of the Division Of Agricultural Physics at the same Institute at the time of his retirement from the ICAR service in 1974. Starting his service career as a Lecturer in Physics in 1937 at the Benaras Hindu University, his alma mater for the M.Sc. and D.Sc. degrees in Physics at the Andhra University, before Joining the IARI as Experimental Physicist in 1948. Dr. Dakshinamurti Joined the Rothamsted Experimental station as a Government of India overseas Researcher in 1946 an year in which the London University initiated the faculty of soil physics and awarded him the first doctorate degrees in soil physics in 1948. Dr. Dakshinamurti made significant contribution both in basic and applied research in the area of soil physical condition in relation to crop growth and development. He was a strong force behind the ICAR all India Coordinated Research Project on soil Structure for Crop Production and a number of useful practices for village operations were evolved by him. He was an outstanding teacher for complex subjects such as water and nutrient dynamics in soils in relation to uptake by plants. His well blended knowledge and expertise in pure physics and agricultural physics is a care combination in India. An erudite academician, researcher and research manger, Dr. Dakshinamurti well travelled person in the country and aboard, his broad vision was the foundation stone for the building up of the water Technology centre in its present status of recognition in the area of water management research and development. In his book author tries in his own way to expound both the themes i.e. 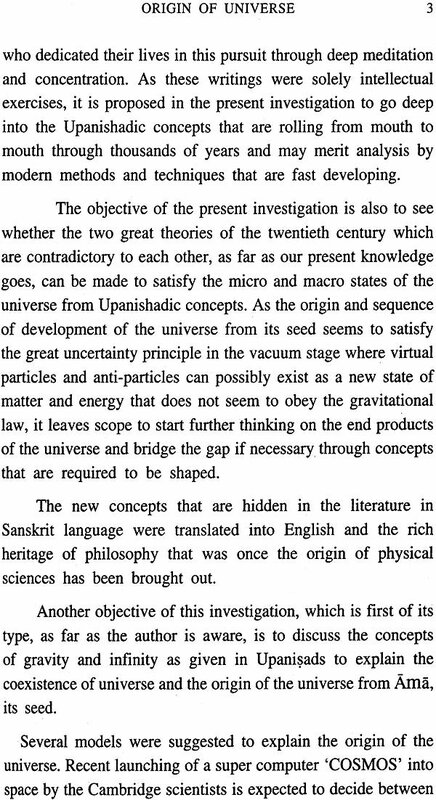 science and Vedanta on which masters like Adi Sankara and Vivekananda thought wrote and lived their lives. This is a unique book by unique person. Dr. C. Dakshinamurti is not only a great agricultural physicist and scientist but also and eminent philosopher and Sanskrit scholar. It is therefore our good fortune that he decided to write this book on "Origin of Universe -Vedic Approach." He has combined the depth of his scientific and analytical mind with the width of the Vedic view of life. He mentions appropriately "physics ends where philosophy begins," "no amount of limited knowledge can be a unravel the entire gamut of the nature where pure wisdom and knowledge become infinite and merge with celestial bliss. While reading this book I was reminded of the following excerpts from book "What is Life?" by the eminent physicist Erwin Schrodinger. "In Christian terminology to say. "Hence I am God Almighty' sounds both blasphemous and lunatic. But please disregard these connotations for the moment and consider whether the above inference is not closest a biologist can get to proving God and immortality at one stroke. In itself the insight is not new. The earliest records to my knowledge date back some 2500 years or more. From the early great Upanishads the recognition ATMAN = BRAHMAN (the personal self equals the omnipresent all comprehending eternal self) was in Indian thought considered, for from being blasphemous, to represent the quintessence of deepest insight into the Happenings of the world. The striving of all the scholars of Vedanta was, after having learnt to pronounce with their lips, really to assimilate in their minds this grandest of all thoughts." Thus the ancient Vedic thought was far ahead of all other philosophies in terms of understanding the unity of life. Also in the ancient Indian philosophy, concepts like God appearing in the from of fish, bird and other living organisms were accepted as manifestations of the almighty in numerous living forms. Even until recently such a concept was blasphemy in western thought. We are indebted to Dr. Dakshinamurti for this labour of love. I hope the book will be widely read. Modern medicine is adding years to life, but it is only spirituality that can add life to years. This is the message of the and work of Dr. Dakshinamurti, the great scientific luminary of physics. The first nine years of my childhood were spent in a village where my father was working as a head master of a Middle school. I had no regular schooling but under the guidance of and my mother tongue. Telugu. Our village is well known for scholars in Astrology, traditionally reputed to write almanacs every year. I was initiated by them to identify the positions of stars, and movement of planets rotating around sun. This led me to learn a bit of vedic Algebra Calculation of time by measuring the shadow cast by sun during daytime and marking the position of stars at the Zenith during night time to cast horoscopes of the babies born. Thus my curiosity in the cosmology around us increased day by day, but I could not have enough knowledge of modern science to understand or interpret the findings. The more I used to think of these the more I used to get puzzled. After passing, the B.Sc. degree examination in 1933, we attended the convocation to receive our degree. There we were each presented with a holy scripture 'Bhagavad Gita' alongwith the degree certificate. When I read that took at leisure, I was confused with a lot of questions unanswered and that was the basis of enquiry that started in me I retired from Central Government Service in 1974. Vedas form the Basis of four holy scriptures. They are called "Apauruseyas" that is, not written by any known person or group of persons. These scriptures lived for a long time by being repeated from mouth to mouth. In those days when alphabets of languages were not developed to maintain the absolute purity of vedas it is commanded that the way in which they are spelt and pronounced is of supreme importance. With time the material scattered widely and the Job of purifying and coding the vedas into four groups viz, Rgveda Yajurveda, Samaveda and Atharavanaveda was left to the great saint Vyasa who was later reputed as Vedavyasa. The end part and essence of vedas is termed as "Vedanta" "Anta" means end. That formed the material for Upanisads. The Word veda has its origin from the root 'Vid' meads to know. This knowledge was taught to the aspirants by the teachers mostly sages and saints whose names are not known to us. Hence most of the Upanisads are called by the first word with which it was taught, Upa= near, ni=down, sad=sit. About 200 Upanisads were traced. The great saint Sankaracarya selected ten of them as most important and wrote commentaries in them. If there us one person who was responsible for passing the knowledge of Upanisads and established the "Advaita Philosophy" for the future generations to follow it is the great Jagadguru Sankaracarya, who in his short but glorious life, toured round the whole country and established five centres of wisdom in the East, south, West, North and the Middle of India. The heads of the five are today called Sankaracaryas. The essence of all the Upanisads was taught by Lord Krishna in a conversation between him and Arjuna which formed an epic known as Bhagavad Gita was kept as a pendant at the centre of Mahabharata by sage Vyasa. The entire essence of Vedanta was written in 555 aphorisms called Brahmasutras for which Sankaracarya wrote an exhaustive commentary. These three sets of writings namely Upanisads, Brahmasutras and Gita Bhagavad Gita put together formed "Prastana Trayam". 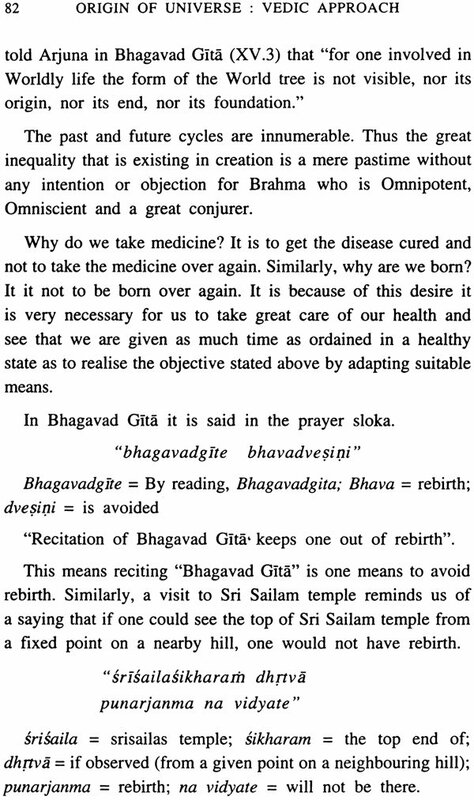 Sri Ramakrishna Mission has done a yeoman service by translating all the texts noted above in English. Several saints in India such as Swami Chinmayananda, Aurobindo Ghose of Pondicherry, Swami Sivananda of Rishikesh delivered extensive lectures on these topics. 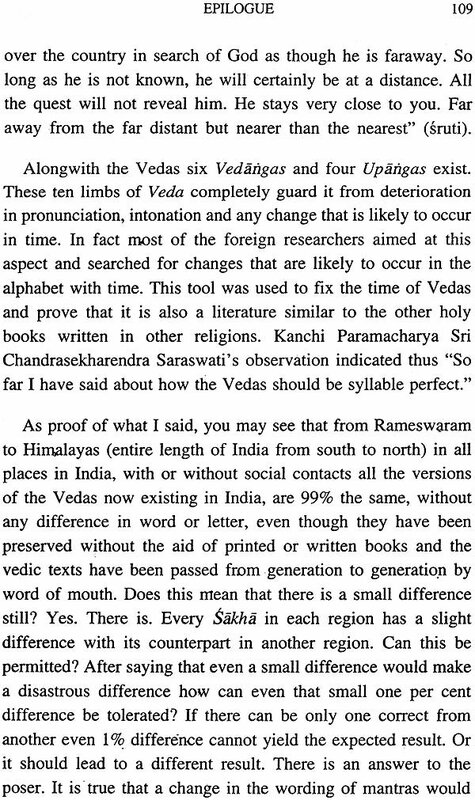 There are also a few erudite Sanskrit scholars in Andhra Predesh whom the author met personally and got valuable information on Vedanta. The essence of all these writings, discourses, teachings etc. 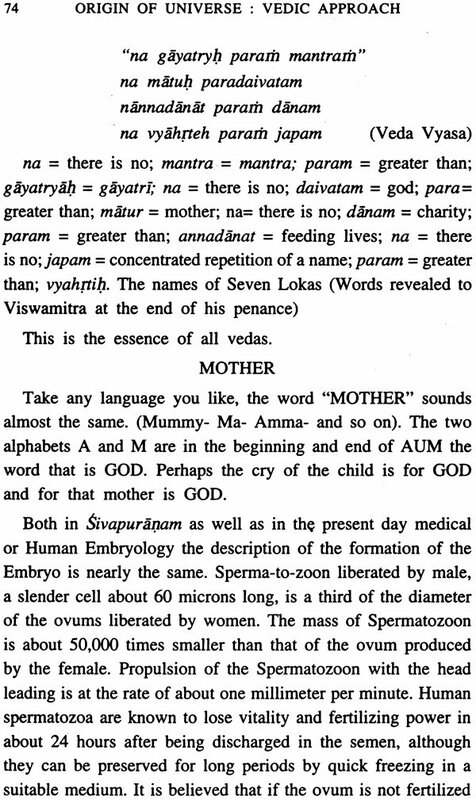 is to learn that Vidya, "Para Vidya", which redeem one from all bondages and leads to Atma Saksatkara. Saunaka son of Sunaka Rsi, approached the great sage Angirasa and respectfully questioned him thus "Bhagavan", what should I learn by which I can understand the entire visible universe? "Angirasa" replied thus. veditavye= those that are to be understood; due vidya =(are) two types of knowledge, iti ha = so say; bramavidah =those that know vedas vadanti sma =tell; yat =that; para ca=superior or noble; (and) apara caiva =inferior knowledge. 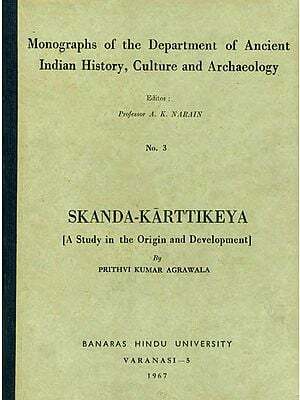 Learned people say that there are two types of knowledge viz; Para Vidya and Aparavidya to be learnt"
tatra =amongst those; rgvedah =rgveda; yajurvedah= Yajurveda; Samavedah=atharvaveda; siksa= sastra connected with sounds phonetics; kalpah =sastra connected with daily actions or duties (karma); vyakaranam = grammar; niruktam =sastra connected (metre in poetry) with fixation of the meaning of words; dictionary etmology; chandah= prosody, jyotisam = astrology; iti = so say; apara = inferior knowledge; atha = the next ; yaya = by which knowledge; tat= that; aksaram = that which does not decrease or is permanent; adhigamyate = can be attainted para =(that is) para vidya. "Almost these two Vidyas Apara vidya consists of the four vedas. Six other subject appended to vedas called vedangas and all those that do not lead the aspirant to self-realisation (Brahmanubhuti) while Paravidya (superior knowledge) is that which makes one realise the imperishable permanent and undestroyable viz. 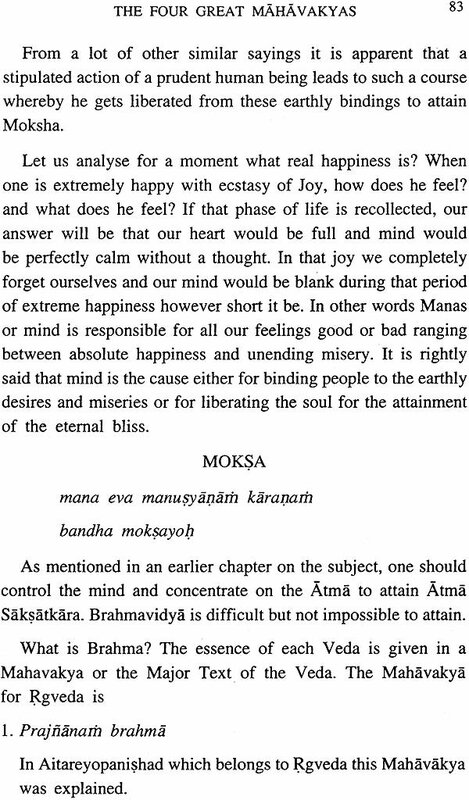 realisation of Self (Atma-Saksatkara). 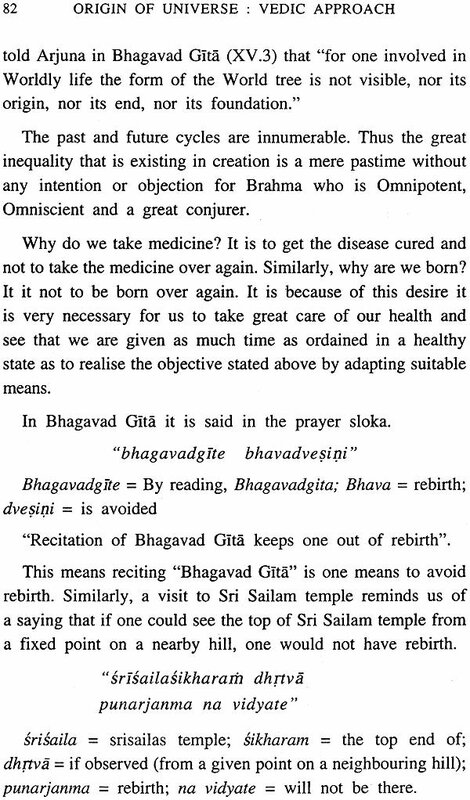 This vidya which people call "Brahmavidya" is thus the 'ultimate' Goal that one should aspire for'. We have by far advanced in our modern science where we reason out every aspect and come to conclusions. We thus feel that unless we are convinced by logical reasoning, experimental verification that leads to convinced conclusions we do not believe in those statement. As a student of science, I entirely agree on this principle. But how many hypothesis we make have an unshakeable base? 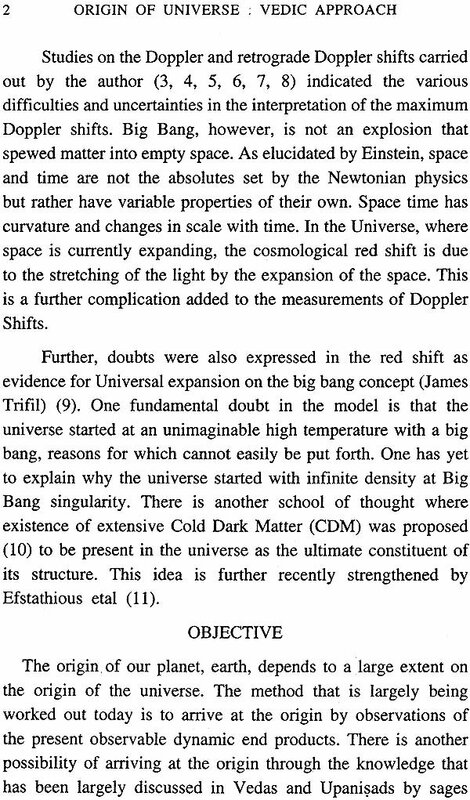 1) For instance the Big Bang Theory on which most of the scientist swear today is based on the assumption that infinite mass and infinite energy are concentrated at a POINT at the time the Big took place. 2) "Matter creates space into which it expands" not matter occupies space into which it is expanding. What is there originally before matter created space. 3) According to the famous uncertainty principle vacuum should have positive and negative particles in it. If that exist they should have infinite mass. The conclusion here is that if such an existence which theoretically is correct is there the universe should then curve up. This does not happen. To my mind all these curve statements are correct if we go deep into the logic and science of Upanisads and keep patience enough to bridge the gap in understanding the truth. At a time when even the rudiment of astronomy were not developed in western countries, india made strides of development in penetrating the celestial sphere. Apart from the four vedas there are six vedangas. One of those id "JYOTISA", such discoveries were possible not with the massive sophisticated equipment developed today to study even the speed of quasars but with the highly developed intuitive spirit and the sixth sense by mediation and concentration. It endorses the famous SAMASYA given by Bhojaraja to a family of four poets. "it is not with the highly sophisticated equipment that we can make outstanding discoveries but the innate power inside"
That sort of skill has to be revived if the gory of India has to be enhanced. Although several instances demand that velocity of a body should exceed the velocity of light we are shy of recognizing that because of Einstein's theory; based on an experiment of negative result of Michelson and Morley. Perhaps, it has its limitations like Heisenberg's uncertainty principle which penetrates the microscopic state in vacuum unveiling a new state of matter and does not allow gravity to work there. A new look towards these great divergences between the theory of relativity and the unearth principle needs to be established by intensive researches on vacuum physics. It is equally important to unearth the power of meditation and concentration established by seers and saints in India. Human being, as we see today, has the highest developed brain (Manas) as compared to any other form of life existing on earth. This capacity to distinguish truth from untruth to make outstanding discoveries, which were not thought of, and capability of penetrating into imaginary filed that become real later on is significant. It is because we have the brain to convert it into action i.e. Karma the fruits of which we look and change or amend the developments in such directions as the new thoughts penetrate. The use if computer that are made by the brains is an example in this direction. Deep concentration and meditation should be revived as to explore the unknown fields of science. By and large millions of human beings desire to enjoy the fruits of karma, at the end of which they are born over again to go through the cycle of life they deserve. The process goes on repeating till they complete all the unfinished Karma. Thus, as karma can be complete or annihilated by being born as a human being only, it is said that "Jantunam.durlabham. 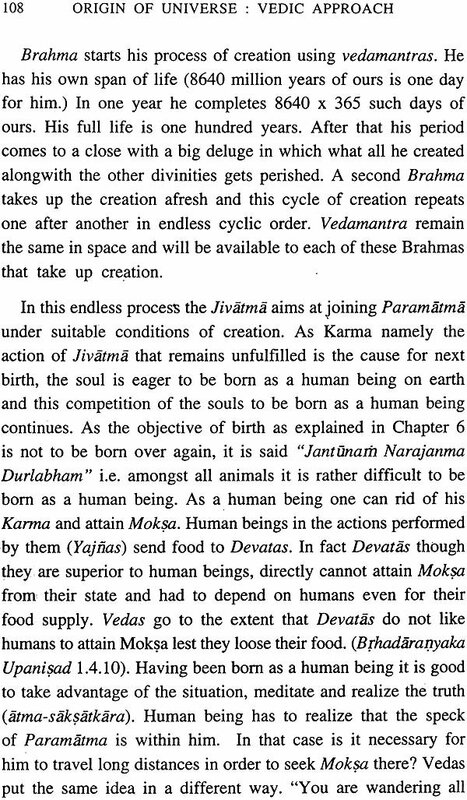 When once they reach a state where their desires are fulfilled they begin are all of the same Atma they develop a universal look undisturbed by the vagaries of the society amongst which they live; have no further desire to be born again and therefore merge with source of origin. Such a soul may be on ea million million million, souls who realise that the objective of birth is not to be born again. The few pearls that I have gathered and knit together in the pages to come are due to the foundations laid in me by my beloved parents-constant encouragement to gather them given by my wife Smt. Raghunath and supported by my five brilliant children. I am proud to be associated deeply with all of them in attaining my objective. This is a brilliant book, a splendid blend of Vedic spirituality, Vendanta and modern physics. 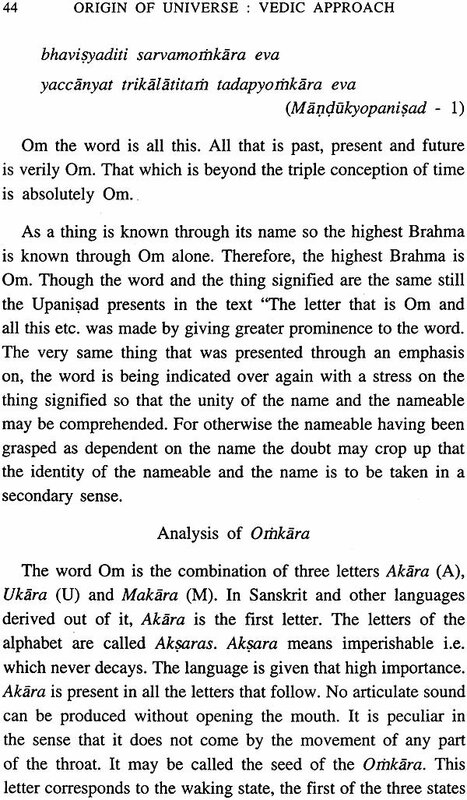 While there have been other interdisciplinary attempts to blend Eastern philosophy wtjh Western science, what distinguishes this book from the rest is that Om: Origin of the Universe provides citations from Vedic literature, the Vedas, Upanishads, a few references from the Aranyakas. This gives the book a great deal of currency and cashe. 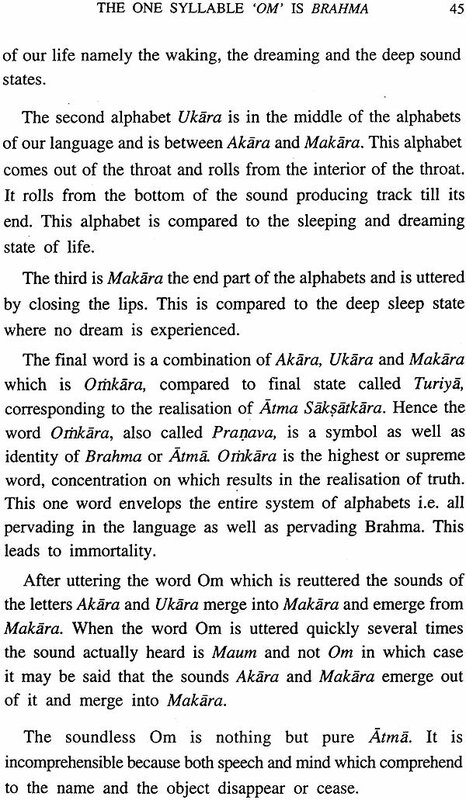 Dakshinamurti’s thesis revolves around the sacred syllable, Om. 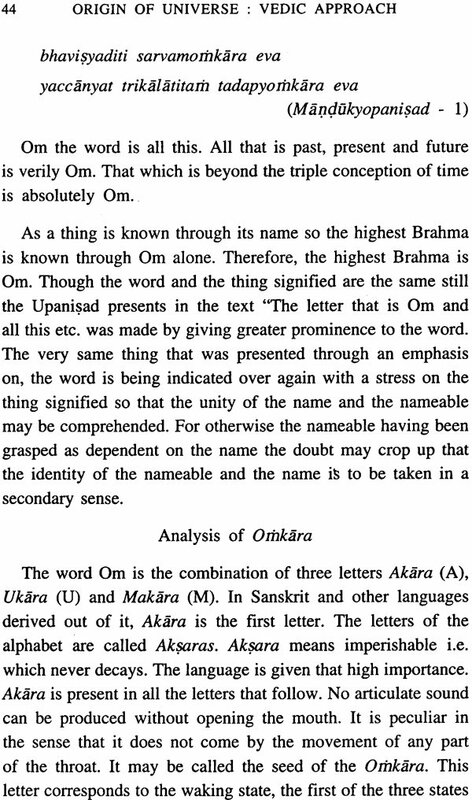 Through Vedic literature commenting on the sacred syllable, Om is associated with scientific topics such as the Big Bang, the process of creation, light and the speed of light, and the vibrations exhibited by gravity, light and sound. It is with the vibration of sound that the link with the Vedas is established. The Vedas are the breath of the Paramatma, God, and co-exists with space, mind/heart (manas), and prana, which are part of the paramatma. The breath consists of vibrations in much the same way as gravity, light and sound, and exist and remain in the universe, to be picked up and received by, as Dakshinamurti indicates, the Rishis in the form of the Vedas, or by other souls receptive of their message.